This four week summer study abroad program, sponsored by the Comprehensive Leadership Program (CLP) provides a transformational opportunity for students to develop leadership skills and immerse themselves in another culture. Students return home with a deeper understanding of culturally aware leadership, a greater sense of self-awareness, and a passion for service-learning. Essential to this learning is student involvement in community development projects, including leadership development/capacity building training, literacy projects in local schools, health education partnerships, and basic computer education. 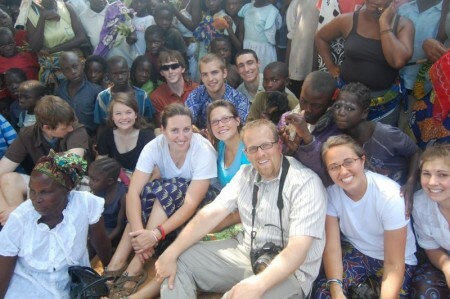 The essence of the program, however, is rooted in accompaniment—meaning that while in Zambezi, students generate opportunities to receive in the places they are serving, become mutually indebted to the community, and develop meaningful relationships that assist them in operating at eye-level within this community. The learning outcomes of the Gonzaga-in-Zambezi: Intercultural Perspectives on Leadership program are to (1) understand and practice key concepts of leadership theory through an international experience, (2) develop and promote an ethic of accompaniment through our community development projects, (3) develop intercultural competencies, particularly an intercultural mindset (cognitive), skillset (behavioral), and heartset (affective) as they strive to be global leaders, and (4) develop self-awareness and critical thinking skills through experiential education and critical reflection of our international service.